You've got better things to do than think about everything that's wrong in the world. Start your day with all the news you need. Plus, Bill and Kevin will put a smile on your face as they talk about their lives. This morning show is growing by leaps and bounds. Join the morning party! This is the radio show you need to be listening to. 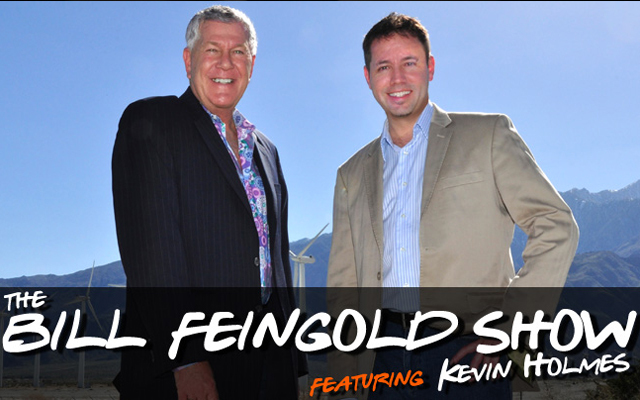 K-News Radio's Bulldog Bill Feingold, along with his trusty sidekick Kevin Holmes, is just what the doctor ordered to start your day off on the right foot. This is the Coachella Valley's wake-up call with equal parts wit, information, charm, friendship, and laughter. Listener phone-in's and conversations with people from different walks of life mixed with heroes, goats and Yiddish lessons. Plus, the latest news, weather, business numbers, sports and more! Just pull up a stool and let the good times roll weekdays from 6-9 am.